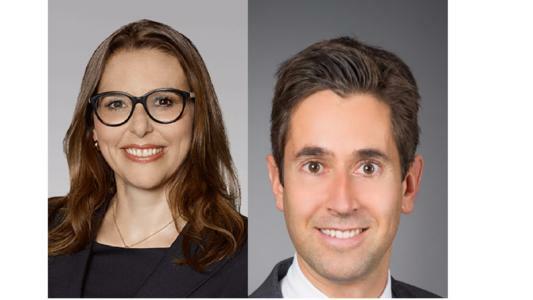 S. Schreiber and C. Suter (Bär & Karrer): “In Switzerland, a high level of trust exists between taxpayers and tax authorities"
Bär & Karrer’s tax team has not stopped growing, and with the recent arrival of Christoph Suter to launch the practice in Geneva, they have secured the services of another top talent. Leaders League.Susanne, your arrival in the fall of 2015 heralded the expansion of the tax practice at Bär & Karrer. How has it grown since then? Susanne Schreiber. We have witnessed rapid growth with recruitment across our different offices. Cyrill Diefenbacher and Lukas Scherer joined me in Zurich, as well as Laurent Riedweg and Corinna Seiler. We also have a dedicated team in Lugano. But our biggest move, I believe, is to get a team on the ground in Geneva with the arrival of Christoph this year. Christoph Suter. Bär & Karrer is a really well-known brand. Our goal is to expand our footprint in the Swiss Romande. Now, our tax practice covers all the different language areas of Switzerland. What are the specifics of your work? S.S. I focus mainly on tax aspects of corporate, M&A and capital markets/ financing transactions. We deal with complex and large transactions where we support clients on the Swiss tax side, but also on international aspects. We recently structured the UBS business solution carve out and advised them on legal, regulatory and tax matters. The operation – covering more than 18,000 employees in numerous countries – took us nearly two years to achieve. American multinational Huntsman Corporation has also chosen Bär & Karrer as legal and tax counsel for its merger of equals with Clariant - a transaction valued at $20 billion – involving challenging questions from a corporate, take over and tax perspective. Christoph, you are based in French speaking Geneva, what are the differences between this region and the German speaking part of the country? C.S. Since the language is different and the tax practice can deviate as well, good local relationships with the tax authorities are vital. Concerning the clientele and the industries, Geneva is particularly well known for its wealth management and commodities trading sector and as a headquarters base for for multinational companies. What does the OECD’s Base Erosion and Profit Shifting (BEPS) project mean in practice? S.S. One immediate impact is the exchange of tax rulings. I advise clients – especially international companies – to analyse their Swiss tax rulings in place and assess which would be covered by the spontaneous exchange as of 2018. C.S. The BEPS project adds a new level of complexity and additional cost for the taxpayers. It therefore might change our clients’ behaviour. They need to adjust to these new regulations, and some of them might get rid of certain structures, or switch to more compliant ones, to keep things simpler. Corporate Tax Reform III was rejected by referendum and a new proposal revealed in June 2017. How do you see this? S.S. The bill presented by the federal steering committee in early June is more balanced. It doesn’t include the notional interest deduction anymore but still retains patent boxes and R&D superdeduction to attract R&D activities to Switzerland. The taxation of dividends of large participations also increases for individuals, if the proposal is adopted, which might impact entrepreneurs. Also, the share of federal tax revenue for the cantons will be smaller than in the original bill, which leaves cantons fewer opportunitiesto lower tax rates. At the time of the referendum, opponents claimed the reform was unbalanced and favoured large companies, which was one of the reasons for its rejection. But we need an effective reform sooner rather than later. With all these reforms, would you say Switzerland is still as attractive to foreign companies in terms of tax? C.S. Obviously, Switzerland is in competition with other low tax-rate countries, like the UK. I believe what still sets us apart is the high level of trust between taxpayers and tax authorities in Switzerland. Our clients prefer taking a long-term view and want to maintain a good relationship with the authorities, with the goal to reduce audit risks or to avoid negative surprises.